Good Morning Friends! This is a longer post than I usually write, but I promise you will be blessed by it. And I will warn you that today’s post much like yesterday’s post might make you cry too! The song ended and we talked about the image of our hands parted after prayer. Class ended and we all went our separate ways. I sat in my hotel room later that afternoon scrolling through Facebook when I received an instant message from a seminary classmate. This classmate told me that there had been an earthquake in Haiti and three Wartburg Seminary classmates where there including my friend Renee who I had worked at Bible camp with for several summers. For awhile, as you can imagine, the news was very vague. First, Renee was found but the boys were missing. Second, they were all missing. And then finally, Renee and Jon were together but Ben was still missing. As we waited for news, we found ourselves reading news articles and stories on the Internet and watching the news. I felt bad for our morning speaker the next day because most of us were not listening to her words but rather were trying to glean any news we could about the earthquake and Ben. From there, we went to our classroom. In the classroom, we finalized our service which we would be leading the next day (Thursday) The young ladies had decided to honor Martin Luther King Jr. as it was MLK day the following Monday. They also choose to sing the song “Freedom is Coming” from the This Far by Faith hymnal. Thursday morning, I awoke to my alarm clock ringing. I crawled out of bed, jumped into the shower and got ready for the day. As I was blow drying my hair, my cell phone rang. I went to answer it. Shera was on the other end of the line. She asked “Did you get an email from the seminary this morning? I replied no. She then asked “Can I come to you?” I said “Of course” and hung up the phone. The minute I hung up the phone I knew that the news was not good. I waited for the knock at my hotel door. Finally I heard the knock. I opened the door to Shera and her roommate standing there. Shera looked at me and shared “Ben is gone!” We embraced each other and slowly let the tears begin to flow. After a few minutes, the three of us walked to the refectory for breakfast. When we walked in the door, several of our friends asked if we had heard anything. Shera couldn’t get a word out and “Ben is gone” was all I could say. Those words were on autopilot that morning. Before we knew it, Shera and I both were being embraced by our friends. And as they embraced us, the tears began to flow even more. I didn’t realize it then, but now I see them as God’s grace in the midst of this tragedy. After worship, we went to our classrooms. As we gathered, we found ourselves wondering what we were to do as we were still to lead worship that evening. We made the decision to still honor MLK Jr but also to honor Renee, Jon, Ben, and Haiti. We also choose to still sing “Freedom is Coming!” We also decided to play Ben’s version of Psalm 30 as worshipers were entering into the chapel that evening. Ben sang the words “Weeping may come for the night, but joy comes with the morning” as it played and streamed through the speakers in the chapel. As worshipers entered into the chapel, we shared that it was Ben who was singing. After the prelude using Ben’s song, we moved into the smaller chapel which was more intimate. Throughout the service, we shared about why Ben, Renee, and Jon were in Haiti and also about MLK and his actions. The time came for the song “Freedom is Coming” and we joyfully sang out the words to that song. After worship, we all went off to our hotel rooms. I remember laying my head down and reflecting on how that service and the whole week had felt like being wrapped in God’s grace. Little did I know that the next day, this would be immediately confirmed for me. I closed my eyes and drifted off to dreamland for the night. The next morning, we said our goodbyes and loaded up into limos that would drive us to Baltimore for our flights. As I was standing in line with two of my new friends, I pulled up Facebook and came across a blog post that someone shared. The post included Ben’s sermon from his senior year at college. In the sermon, Ben shared how international music was important and special to him especially the song “Freedom is Coming.” Chills began to cover my entire body. Little did we know, the week before that when we choose that song, it was one of the most influential song’s in Ben’s life! BUT, GOD!!! God knew. God, through the Holy Spirit, graced us with the gift of those words. Today Renee and Jon are married and have a little boy. Yet another gift of God’s grace in the midst of this tragedy. His last words on this Earth were sung. He sang the words “God’s peace to us we pray” And, my friends, Ben Still Sings! He sings through his new liturgy. He sings when we listen to his music. His music is another gift of God’s grace in this world. This experience of God’s grace indeed changed me. It, for sure, did not leave me where it found me! And it will always be a way to share about the incredible goodness of God’s grace even in the midst of tragedy. I am so very thankful for that gift. 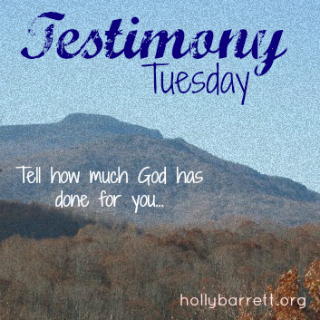 I am linking up with my favorite gals today: Holly at Testimony Tuesday, Kelly and the RaRa Linkup, Jennifer Dukes Lee and Tell His Story and Holley Gerth and Coffee for your Heart. 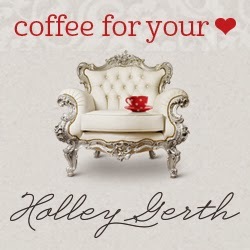 This entry was posted in Uncategorized and tagged #write31 days, 31 Stories of God's grace, Ben Larson, Coffee for your Heart, Haiti earthquake, Psalm 30, RaRa Linkup, Tell His Story, Testimony Tuesday by tara.ulrich. Bookmark the permalink. How haunting to listen to your friend's song. For the past year the lock screen on my phone has been an image that says, "They may be pain in the night but joy comes in the morning." I felt like it was night for a long time. Just a few days ago I changed it to a picture of my new niece. It was kind of symbolic, I think, that morning is coming. I'll bet you felt like it was night for a long time. So glad that you feel like morning is coming. I could listen to Ben's song every day. What a powerful story! I love how the Lord does bring joy after tragedy. I experienced that myself after my husband 'moved to Heaven' three year ago. I love your heart and pray God allows many to hear your testimony. Karen, it really is a powerful story, isn't it?! I too love how the Lord brings joy after tragedy. Thank you for your kind words. :=) that equal sign is representative of tears. This is a wonderful tribute to your friend Ben, but even more to your friend God. Thanks for sharing! it's wonderful how Ben's voice and his story keeps reverberating in your life and your writing and spreading out from there to new people, as well! I sort of spaced that this is Testimony Tuesday, but I may try for Tell His Story on Thursday. I'm loving your full-length posts and enjoying writing something reasonably intelligent in 5 minutes each day. hugs! Tell His Story is on Tuesdays too, but you can link up all week. I am glad you are loving the full-length posts. Glad you are enjoying the five minute free writes too. Hugs back at ya. :(. I love how the Holy Spirit comforts us in unexpected ways in our deepest hours of pain and sadness. Love how God orchestrated all it just because it would bless the hearts of those that were mourning the loss of Ben. Thank you for sharing. Tobi, God indeed did orchestrate and bless all the hearts of those who were mourning Ben. To this day, when I reflect back, I am just awed by God's amazing grace that week. What a beautiful way to honor your friend and share his legacy. That makes me think, too… what am I doing to ensure that the gifts God gave me will live on even after I'm gone? Sarah, thank you! And I love your question. I want to reflect on that question as well. Yup, I cried. What an incredible gift Ben was given and the fact that he still sings, and now in the presence of His savior is such a beautiful contrast to the sadness that must have come from his loss. Beautiful words, Tara and such a sweet tribute to your friend. Tiffany, I warned you! Indeed Ben was given an incredible gift. I love that his music and his words still sing on. Thank you! Wow…I still have chills after reading this story moments later. The ways God lines things up it's such an amazing grace. Oh, how He loves us. Thanks for sharing. 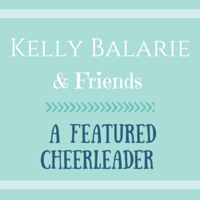 Alecia, I know right…I still get chills when I share the story. God's grace truly is an amazing grace! Beautiful! Yes there are tears and yes my heart broke for you and your friends. God is indeed gracious in all and the gift of worship that you shared was probably one of your best moments. Hugs friend! Mary, thank you! God is so gracious. I agree that the gift of worship that we shared together was probably one of our best moments. Hugs back to you too!